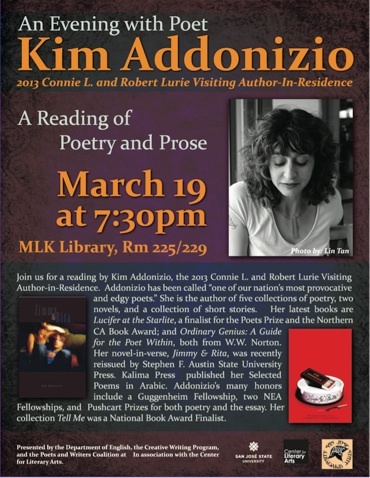 Nationally acclaimed poet Kim Addonizio, co-author of Poet’s Companion and No Ordinary Genius: A Guide for the Poet Within, and current Lurie Chair Professor at San Jose State reads from several collections. She might even play the blues harp. Free Event!